The beloved spirit of the blue agave, known today as tequila, had humble, yet spiritual, beginnings in Mexico nearly 500 years ago. In Aztec Indian culture, the spiky blue cactus was sanctified as they held a belief that it embodied the Goddess of fertility, Mayahuel, and her husband, Patecatl, the God of pulque. In pre-Hispanic Mexico, agave was a widely used resource; woven into compact fiber, it was used to make rope, paper, mats and clothing before experimenting with it as a spirit. The earliest appearance of the spirit was pulque, the fermented juice of the agave that was used by the Aztecs as a ceremonial wine. In 1519, the arrival of Hernán Cortés and his conquistadores changed the game. The Spanish conquest of the Aztec empire saw military supplies from Europe prioritized and it wasn’t long before their brandy reserves were exhausted. Facing a dilemma, but armed with distillation techniques and a desire for something stronger than water, they set about investigating the local alternatives. A common theory is that the conquistadores first improvised with agave and primitive mud stills, creating an early form of mezcal. However, when their copper stills later arrived (the first on the continent), the Spanish soon discovered the fermented agave could be distilled to produce a more potent liquor. They named this Vino de Mezcal (‘mezcal wine’), beginning the transition from pulque to tequila. After liberation from Spain in 1821, a resurgent and patriotic Mexico focused inwards on domestic products. Imports to the country decreased and there was an emerging demand for native commodities, especially liquor. This encouraged the formation of new distilleries who, in addition to local markets, could reach foreign consumers through international trade routes established by the Spaniards. World events, too, had an impact on the world’s growing desire for agave; Prohibition in North America created an opportunity to convince neighbours north of the border on the merits of the Jalisco spirit and World War II created demand as European and American spirits became scarcer. 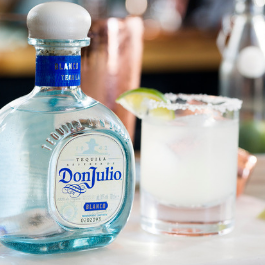 manage quality and output; early innovators, like Don Julio González (founder of Tequila Don Julio), helped establish industry standards and determined that only spirits distilled in Jalisco may bear the name tequila to quell foreign imitators. Producing tequila is a truly distinctive blend of art and science, with craftsmanship and knowledge equally significant to the process. The agave plant, a member of the lily family and native to Mexico, closely resembles a huge aloe vera plant with spiked barbs and a large, pineapple-like bulb (underground) called a piña. Although there are 166 species of agave, since 1964 there has only been one type legally allowed to use in the making of tequila: the Weber blue agave. The plant usually requires 6 to 10 years to reach a maturity suitable for harvest, when the piña swells and ripens. Jimadors remove the leaves and cut the piñas, before they are slowly baked in brick or steam ovens to convert the starches from the sap into fermentable sugars. The process takes between 1 and 2 days in the oven before the baked agave is crushed using an ancient mill, or Tahona, to extract the sugary juices which can now be converted into alcohol using yeast. 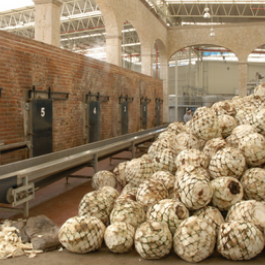 The Tequila Regulatory Council of Mexico upholds the standards and enforces the laws of contemporary tequila production, which has a stipulation that all tequila must contain at least 51% Weber blue agave. Although many distilleries now produce 100% agave spirit, the remainder distil spirit referred to as mixto (mixed), as they are blended to incorporate sugar and water during distillation. 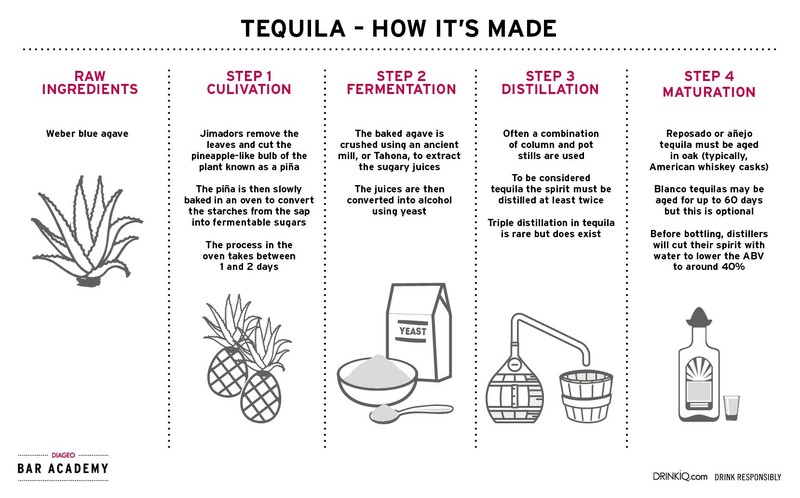 Using a combination of column and pot stills (or, traditionally, only pot stills), after the first distillation, Tequileros are left with a strong, clear spirit with an abundance of congeners. But, to be considered tequila the spirit must be distilled at least twice, and the second distillation will remove these congeners (impurities). Triple distillation in tequila is rare but does exist. The second distillate will be between 55 – 75% ABV, with talented producers aiming towards the lower end to conserve the natural agave flavours. At this stage, reposado or añejo tequila must be aged in oak (typically, American whiskey casks), whereas blanco tequilas may be aged for up to 60 days, but this is optional. Before bottling, distillers will cut their spirit with water to lower the ABV to around 40%. Blanco/ Silver tequila – Blanco (also, silver or plata) tequila is a clear spirit consisting of 100% de Agave or mixto. They can be aged for up to 60 days, but many aren’t at all, which delivers raw, earthy and pure agave notes to the final spirit. Silver tequila is usually more affordable and is well suited to mixing or cocktails. Joven/ Gold tequila – Joven (young) or oro (gold) tequila is generally a mixto, where colourants, flavourings or other additives were added before bottling. This was the most widely distributed type of tequila in North America over the past few decades. There are exceptions, though, as these can also be a result of blending silver tequila with a reposado and/ or an añejo tequila, whilst retaining the 100% de Agave classification. Reposado tequila – Reposado (rested) tequila must be matured in oak or Holm oak cask for at least 60 days. Many distilleries mature between 3 and 9 months and this allows the spirit to be labelled as ‘aged’ tequila. The barrels used impart oak, caramel flavours and give a distinctive golden hue (many using bourbon casks), as well as softening the character of pure blanco tequila. 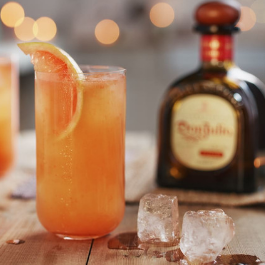 Añejo tequila – Añejo (old) tequila must be aged, typically in bourbon or French oak casks, for a minimum of 1 year. Most are aged between 18 months and 3 years, generally resulting in darker, hearty spirit that entertains a balance of agave and wood flavours. Caramel may be added to aid colouring and additives to enhance flavours, delivering extra notes of caramel and butterscotch. Mezcal – noted for its characteristically smoky flavours, mezcal can be produced from 8 different varieties of the agave plant, like Espadin or Tobala. Most of the smoky notes derive from the production process, where the piña is roasted in stone-lined pits, crushed and added with water to a barrel to ferment. Pulque – once a ceremonial drink that was revered in Aztec culture, the main difference between this and tequila or mezcal is that during production the agave are not cooked prior to extracting the juices. Raicilla – illegal to make until recently and often referred to as Mexican moonshine, raicilla is made from the Agave inaequidens plant and is almost exclusively produced in Puerta Vallarta. Sotol – made from a succulent called dasylirion, sotol is a regional expression of mezcal from Chihuahua and is usually aged for 6 months. Tequilero - a tequila distiller or producer. Jimador - a farmer skilled in harvesting agave plants. Tahona - a traditional stone wheel used to grind the agave hearts in extracting their juices. Piña - the bulb of an agave plant, found underground. 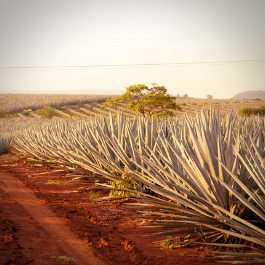 Using the finest agave and a time-honoured distillation, Don Julio tequila sets itself apart by its attention to quality, craftsmanship and tradition. 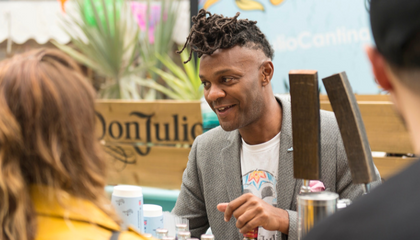 Step back in time and uncover the story behind Don Julio with European Brand Ambassador, Deano Moncrieffe. 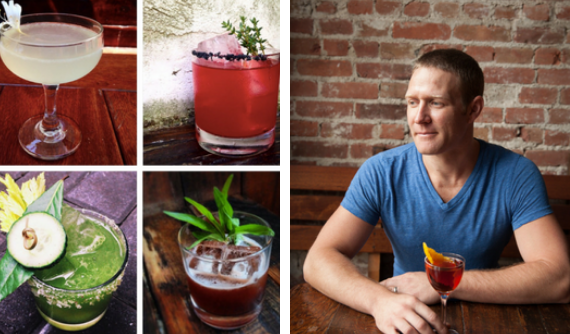 Ever dreamed of having your cocktail creation on menus across the world? 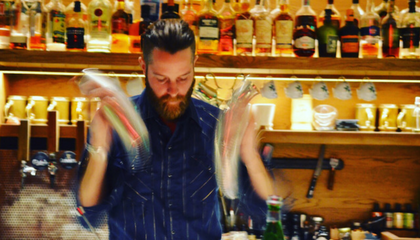 Here's how leading bartender, Phil Ward, has done just that. 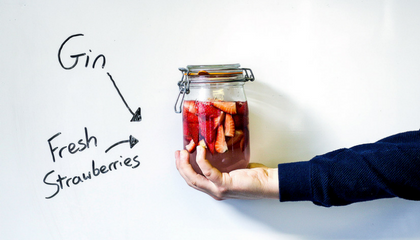 Thomas Aske, takes us through three different techniques for infusing spirit and add depth of flavour to your serves. Freshen up your cocktails and add an exciting and innovative twist using flowers and herbs.